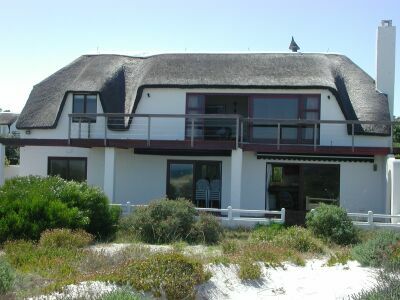 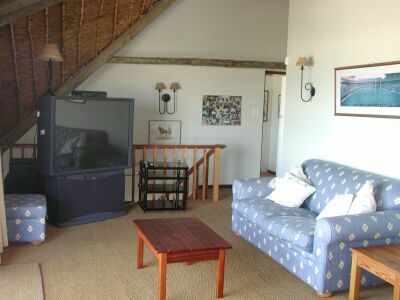 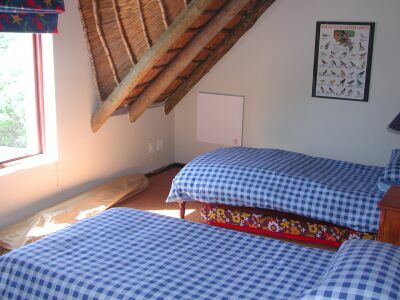 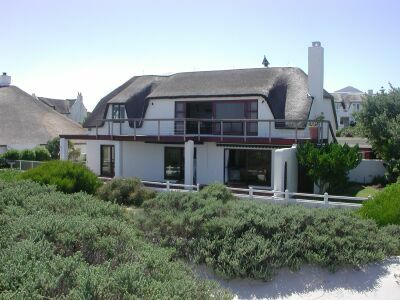 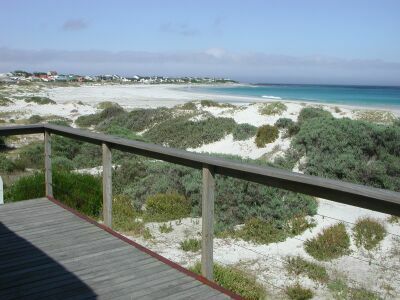 A thatched roof holiday house on the beachfront in Kommetjie. 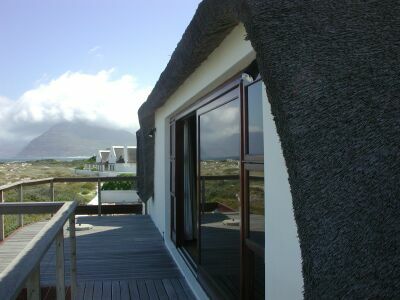 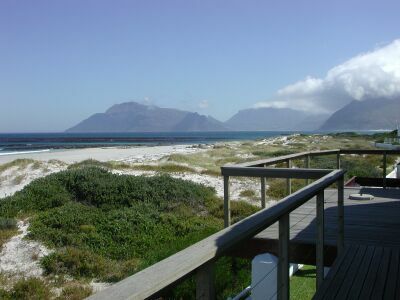 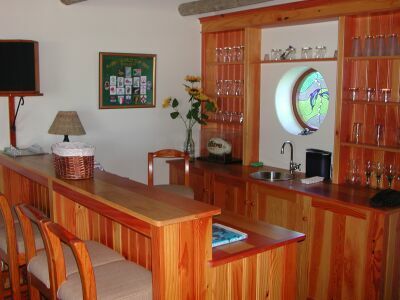 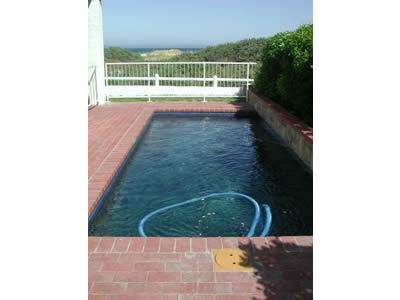 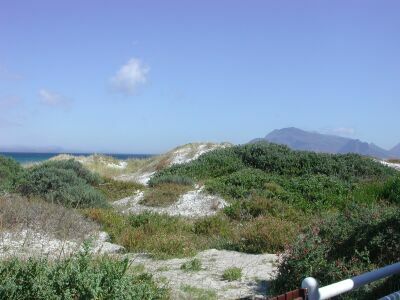 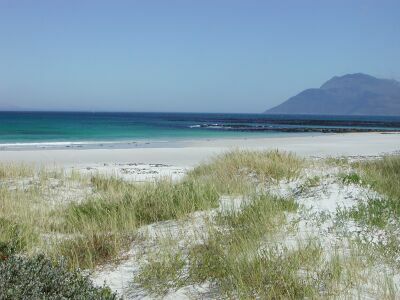 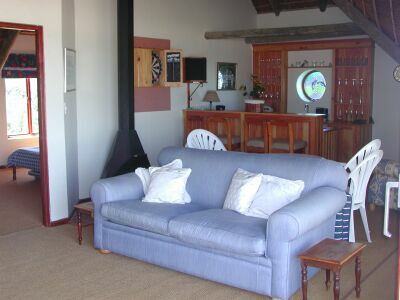 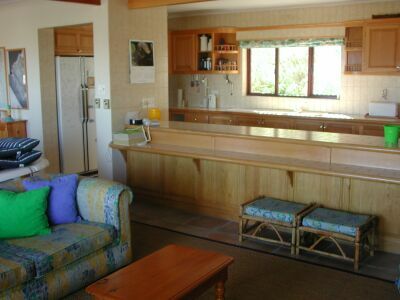 Easy access to the beach and uninterrupted views of the Sentinel and Noordhoek Peak. 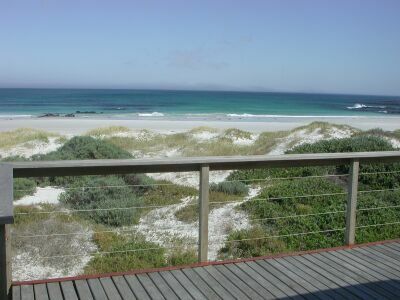 The views from the balcony are awesome. 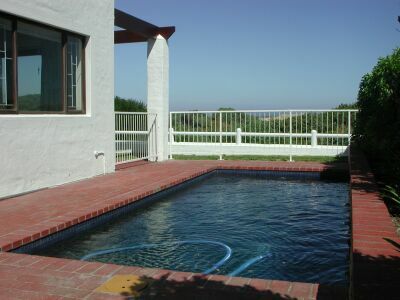 Suitable for still and film.